Rita Ora had to use a little trick before participating in a photo shoot in the morning of Monday, 23. 'and then she posted a Photo on her Instagram account showing the process. 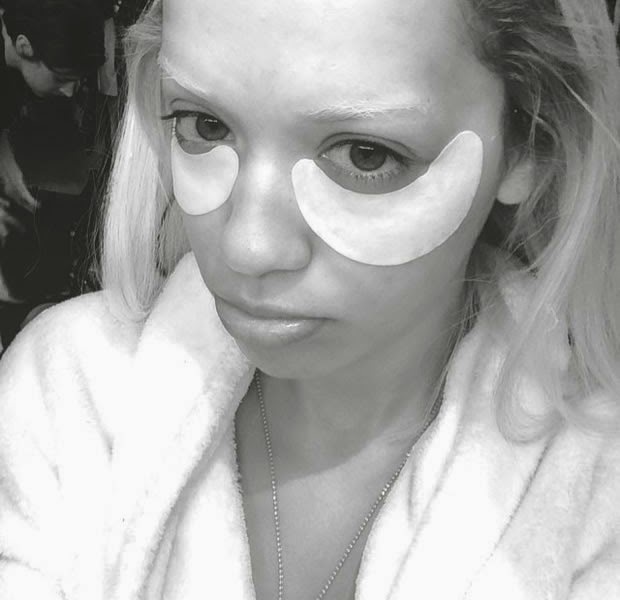 The Singer posted an image that appears with an adhesive to stretch the dark circles. Rita Ora also drew attention to discolored front. "The time of the test. But the wicked have no peace, saith the Lord," he wrote in reference to a verse from Isaiah in the Bible. Here the Rita Ora Instagram Photo. You think you use patches for dark circles resolved this condition?dont forget to leae a comment hsm loves it.